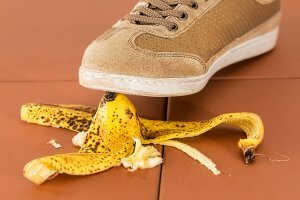 How Much Time Do I Have to Sue after a Slip-and-Fall? ROCHESTER, NY — People who get hurt due to negligence in Rochester don’t have much time to file a lawsuit. In New York State, those who sustain injuries from a slip-and-fall case shouldn’t wait to sue the at-fault party for damages. 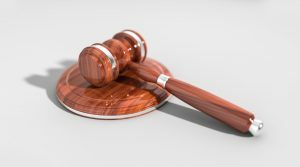 The state’s statute of limitations determines the amount of time you have to file a lawsuit; if the statute expires, the court may determine you aren’t entitled to a recovery. If you’re unsure about what steps to take to pursue a slip-and-fall lawsuit, contact our Rochester slip-and-fall lawyers. 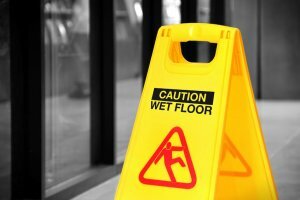 How Much Time Do I Have to Pursue a Slip-and-Fall Claim in New York? Slip-and-falls are some of the most common accidents. They are also some of the most likely to cause serious injuries. In fact, slip-and-falls are among the leading causes of traumatic brain injuries, which can often impact the victim for the rest of his or her life. If you have sustained an injury requiring medical care due to a trip or slip-and-fall accident in Rochester, or if you have had your property damaged in the fall, you may be able to file a lawsuit if it can be shown that your accident was prompted by another’s negligence. You have just three years to file a slip-and-fall lawsuit in New York. 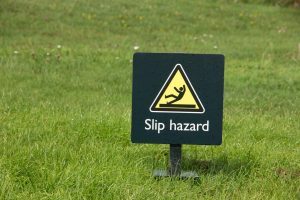 Slip-and-falls are a type of personal injury accident that happen because a third-party failed to eliminate hazards from his property. Whether you broke your foot or your phone on someone else’s property, you might be able to pursue compensation for the cost of your medical bills or property damage if you file the lawsuit within three years of the date you sustained your injury or property damage. It can take time to decide whether to pursue a lawsuit against the at-fault party. After speaking with an attorney, he or she will need to gather evidence against the at-fault party and construct a solid case. 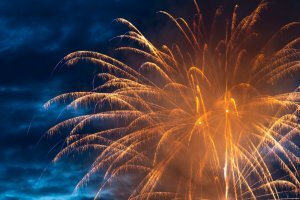 The three-year statute of limitations does not mean that you must resolve your entire case within three years; just that you must file the complaint in that time frame. 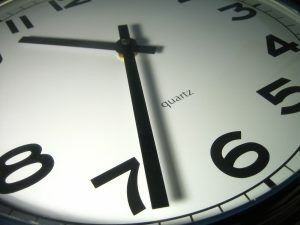 Can I Recover Compensation Outside the Statute of Limitations? Filing a case after the statute of limitations may prompt the at-fault party to raise the fact that you filed late as a defense against your complaint. The court must dismiss your accusations against the defendant unless you are able to get an extension. In rare cases, the statute of limitations may be paused or “tolled” to provide additional time to file. Those deemed severely mentally unstable when the injury occurs or underage victims may be awarded extensions. Don’t hesitate to discuss your accident case with an attorney in Rochester. The sooner you file a lawsuit, the better your chances of receiving just compensation will be. What Are The Most Common Injuries After A Fall? 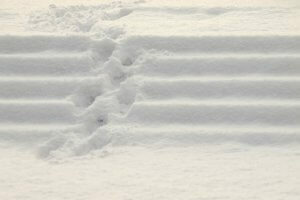 NEW YORK – Although people often laugh at the videos online, there’s nothing funny about a slip-and-fall. These accidents account for most hospitalizations in America, sending millions of people to the ER each year. 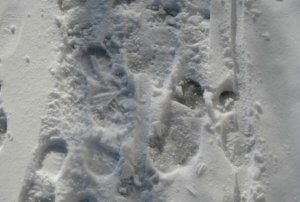 Many victims with aches and pains ask our Bronx slip-and-fall lawyers, What Are The Most Common Injuries After A Fall? You may be surprised at how varied these injuries can be. Children and the elderly are more prone to slip-and-fall accidents than others, and the results can be deadly. The financial impact: devastating. According to the CDC, the medical costs alone for slip-and-falls reached $50 billion in 2015. Be sure to speak with a knowledgeable personal injury lawyer in the Bronx about your slip-and-fall accident to understand your legal options for a financial recovery. Sprains and broken bones. A person can easily twist an ankle or leg when he slips on a wet surface. Landing hard to break the fall can break some bones. The most frequently broken bones include bones in the forearm, leg, ankle, upper arm, and hand and wrist bones. Shoulder injuries. A heavy fall can dislocate a shoulder. The nerves connecting the spinal cord to the shoulder can stretch or tear upon impact, leading to painful shoulder injuries like brachial plexus injury. Hip fractures. The CDC reports that falls cause over 95% of hip fractures. These fractures require intense treatment, including surgery and hospitalization, followed by a long period of physical therapy. Back and spinal cord injuries. According to slip-and-fall attorneys in New York, Damaged vertebrae and slipped or herniated discs cause limited mobility and excruciating pain. Various degrees of paralysis is possible when the spinal cord sustains damage. It can take months to years to regain control of the affected muscles. In severe cases, a person may suffer permanent paraplegia or partial paralysis. Head trauma. Falls are the number 1 reason for traumatic brain injuries, or TBIs. TBIs can range from mild to severe. More serious head trauma can lead to lifelong cognitive impairment. Treatment for any of these injuries can quickly exhaust your insurance coverage and savings. Most Americans can’t pay out-of-pocket for these expenses, and most don’t have to if you know who to call. If you slipped and fell because of someone’s negligence, you have the right to seek compensation for hospital bills, lost wages, reduced earning capacity, and more. A Bronx slip-and-fall lawyer with Cellino & Barnes can help you gain what you are entitled to by law. Contact us for a FREE case evaluation. ROCHESTER, N.Y. – All slip-and-fall accidents are preventable, yet they still send over 8-million people to the emergency room each year. They’re the top cause of injury-related deaths for people 65 and older. What’s worse: they’re usually not your fault! 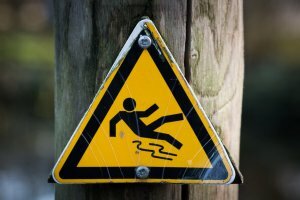 Our Rochester slip-and-fall accident lawyers hear from these victims all the time, and one of the most common questions we hear is, What Should I Do After a Slip and Fall Accident? By law, public buildings, homes, parking lots, and walkways must remain clear of obstruction and be maintained to ensure safety. This is a concept known as “premises liability” in which the owner or the person responsible for maintaining the property has the responsibility to keep others safe. If you were seriously hurt after slipping, tripping, and falling on someone else’s property because of negligence, you have the right to seek compensation for your suffering. As with any accident, if you have suffered an injury after a slip-and-fall the most important thing you can do is seek medical attention and treatment. Not only should your health be your top concern, establishing medical records about your injury is vital in bringing forth a substantial lawsuit. Any slip-and-fall accident should be reported, no matter how benign it may seem at first. Whether you fell in a retail store, a public building, or at a friend’s place, there is always a way to notify authorities. Make sure the manager, owner, or landlord of the premises knows about your accident and record the details in writing. Request a copy of the report before you leave. Chances are, you’re not the only witness to your fall. If anyone around you witnessed the incident, write down their names, addresses, and phone numbers. These contacts may come in handy should the liable party dispute your claim. Even if a person in the premises did not see you fall, he or she could back up your account of the conditions that led to your falls, such as the lighting, the conditions of the floor, and more. You should take photographs of the accident scene if you are physically able to. Focus on the conditions that led to the slip or trip that prompted your fall. If anyone has commented that the situation has happened before, make a mental note of that and ask for the person’s name before you leave. When you get home, you should also take photos of your physical injuries. It’s important to avoid discussing your condition with the property owner or manager. Do not post any content about your accident on social media; the liable party’s insurance company may use that as evidence against your claim. Limit all communication about your accident until you speak with a qualified premises liability lawyer in Rochester. A qualified slip-and-fall attorney in Rochester with Cellino & Barnes will help you navigate the complex process of filing a personal injury lawsuit. Our goal is to help you receive the compensation you deserve by law for your medical bills, lost wages, and even your pain and suffering. Call us for a free consultation or reach out to us online.